Mooneyes attends many events throughout the year. You can find us at the Long Beach Cycle Swap and the Pomona Swap Meet regularly too. Of course, we host our events such s our annual Open House, held at our shop in Santa Fe Springs. Check out MOON NOOZ for previous event coverage and photos. Dean Moon first began selling his own speed parts while in high school. Occasionally we post video clips from around our shop and events as well. We also like to share video clips from others as well. 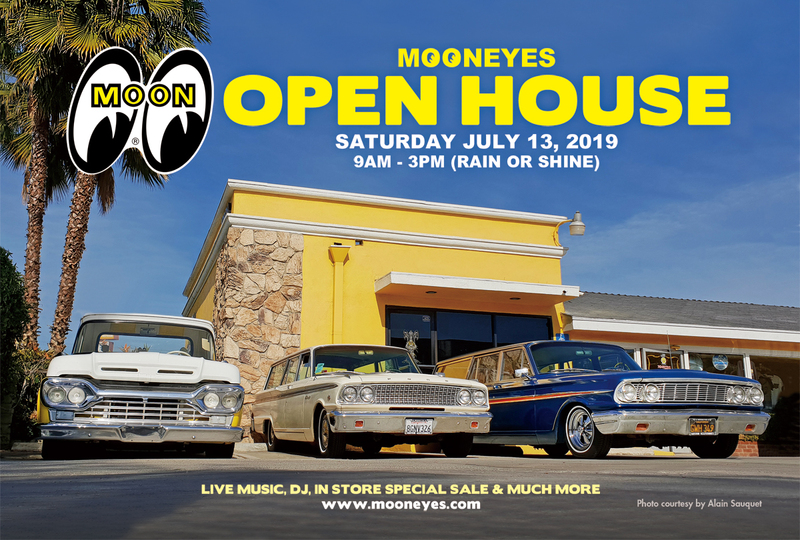 See what’s happening here at Mooneyes in Santa Fe Springs, California. Enjoy! You can shop online 24/7 or visit our showroom in Santa Fe Springs, California from 8am-5pm Monday to Friday and Saturday from 9am-3pm (Closed on Sunday/Holiday). For more information, please check out contact page.